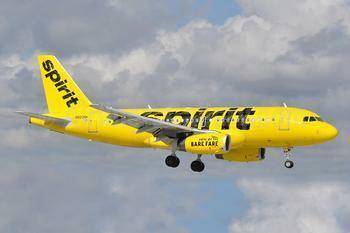 Spirit Airlines is sort of the airline people love to hate for all kinds of reasons. New CEO Bob Fornaro hopes to remedy at least one of those reasons -- its poor ontime record. Spirit flights operated on time only 68 percent of the time for the year ended April 2016, a dismal record Fornaro hopes to remedy. In a Bloomberg interview, Fornaro said he has instituted bonuses for managers who keep things moving in a timely manner. He noted that Spirit had an on-time record of 73.8 percent in April, five points up from its year-long average. That's still the worst in the U.S. airline industry and nearly 11 percentage points below average, according to U.S. Department of Transportation figures. “Over the years, we’ve never put enough emphasis on service,” Fornaro said in a June 20 interview with Bloomberg editors, vowing that things would be changing quickly. That was just about when a New Jersey lawyer found out his Spirit flight back to New York from New Orleans had been canceled. "They didn't give us a reason and said they wouldn't be able to find us a seat on any flights," he said. "We were on our own." News reports that day said some flights into the New York area were delayed by high winds but the lawyer booked a full-fare flight on JetBlue, which landed on time at New York's JFK International. The lawyer's car was at LaGuardia, where he had hoped Spirit would drop him. That added an expensive cab ride to the trip. 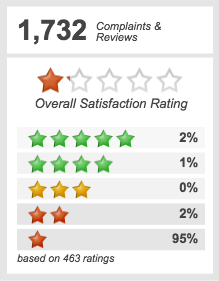 Hundreds of consumers have shared similar incidents in ConsumerAffairs reviews. Anita of Newbury Park, California, had an on-time flight to Jamaica but her return wasn't as punctual. "Our Jamaica flight was delayed by 4 hours due to mechanical reasons. We were told we could still make our connecting flight in Florida to LA. The flight then got delayed another hour and then all the people that were in the same boat as us gathered around the gate counter to try to figure out what to do. They tried booking us on other flights but there were none until the next morning. We were given hotel vouchers and 1 meal voucher for $7. Then the flight was delayed another hour and more people came to the counter because they were also going to miss their connecting flights," she said. In the end, she made it home after flying all night from Florida to Chicago to Los Angeles. One positive note: "The crew and staff were very nice and I feel bad that they work for such a poorly managed company." Bloomberg notes in its story that while Spirit may improve its rather dismal on-time record, it is not likely to get into the 90 percent range. That's because it is simply too expensive for a low-fare airline to maintain all the extra crews and equipment necessary to ensure that back-up fights are available when needed. Hawaiian, Alaska, and Delta are the industry leaders with ratings above 90 percent. All are what might be called "standard" fare carriers. While they offer some discounted seats, their regular fares are much higher than Spirit's. It comes day to the old saw that sometimes, though not always, you get what you pay for. The attorney who was stranded in New Orleans said he was not on a tight schedule and had decided to take Spirit out of curiosity. His flight from LaGuardia consumed an entire day. It left at 8:16 a.m., meandered through Detroit, and landed in New Orleans at 5:16 p.m.
"It was fine for what it was," he said. "Everything, including water, was extra but I understood that going in. "The $236 round-trip fare was more than $200 less than JetBlue had quoted. If saving money is important to you, it's worth putting up with a little inconvenience. If time is valuable, it's worth paying more to consume less ot it."